Cyber safety can be complicated, but protecting your family is simple. You want peace of mind when they're online, no matter what device the kids are using and no matter where they're using it. That's how we've designed Family Zone. The Family Zone box protects every connected device in the home. And the Family Zone app extends their cyber safety protection outside the home, giving you the same peace of mind when they're out and about. We've also teamed up with Cyber Experts, providing specialist advice on the latest apps, sites and trends plus custom designed age‑appropriate settings. Combining the power of the Family Zone Box, the Mobile Zone app and personalised family advice from Cyber Experts provides maximum protection - giving you peace of mind when they're online, at home and on the go. Reports and alerts for each child. Access to manage Family Zone settings in the cloud via the easy to use portal. Plus you get ongoing free access to our Cyber Support Team. It's a good piece of hardware that will protect your family from lots of dangerous sites on the net and I think anyone with kids should think of using this. Very glad to of come across this product. It is part of my connectivity group now and fits right in. I feel very safe with my kids on their iPads. I know that Family Zone is there watching over them!! Great work! The very best thing about Family Zone so far, peace of mind. I finally feel like I don’t have to hover over my 8 year old daughter’s shoulder at all times to see what she’s doing online. It’s such a relief to know that this device keeps her safe online. It’s the world’s most comprehensive approach to online safety and it’s simple to set up and easy to use. With Family Zone you don’t need to continually grab your child’s computing devices and install software or modify settings. 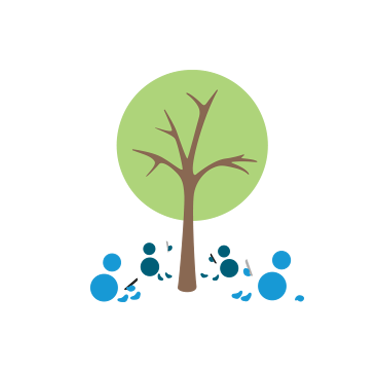 Family Zone’s settings are all managed in the ‘cloud’ through Family Zone’s easy to use portal. In the Family Zone each child has a calendar where you can configure their daily internet access schedule. This allows you to create different access routines (e.g. Play, School, Study & Sleep times) for different types of days (e.g. weekends, holidays & school days). For example, you may choose to block social media apps during School time, or block all internet access during Sleep time. Plus you can use a ‘Reward Day’ to give more Play time access or a later Sleep time on special days. The calendars are designed to make managing online access easy for parents - set them up once and you’re ready to go. You can DIY, or use the default calendars & routines recommended by your chosen Cyber Expert. At any time you can modify your settings to suit your family’s needs. Need to get the kids offline in a hurry? Or happy to give them an extra 15 minutes of Play Time? This is easily done in Family Zone. The Quick-Time Change feature lets you override their regular access routine, immediately and for any duration you wish. Does your family share a computer or a tablet? 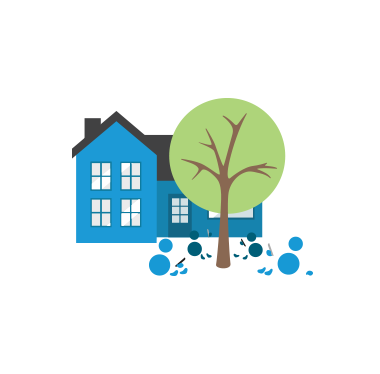 If so, Family Zone’s unique home tools web page allows your family to quickly & securely “borrow” devices using personal 4-digit PINs. It will then apply this user’s settings to the shared device. Family Zone supports split families. Users can be defined as family members in many homes (we call them Zones), allowing each permitted parent to control access in their Zone. Family Zone is designed as an ‘exception based’ system. We only contact parents when something has happened that needs their attention or for account management reasons. When something requires the attention of parents (which isn’t often) we not only send notifications but we also post “To-Do’s” in the Dashboard of the Family Zone Portal. A convenient way to keep track of what needs to be done to keep the family safe. By default, parents will receive weekly usage reports via email for all family members under 18. This can be disabled or sent more frequently. Most schools these days implement filtering systems and install technology on mobile devices brought to school. In most instances Family Zone technology can work in conjunction with, or defer to, a school’s system. Please contact our support team for further information. By default Family Zone will not track and will only lightly filter the internet access of users over 18. You can modify these settings at anytime. Powerful 1200AC Dual-Band Gigabit 802.11ac WiFi access point. Simply plugs into your existing home router. Includes 4 LAN ports. Connect all devices your kids use through your Family Zone Box (via LAN port or WiFi) to impose routines and internet access restrictions at home. The Family Zone Box broadcasts 3 WiFi networks - Family, Unfiltered & Guest. The Guest WiFi network is a safe filtered WiFi network for guests in your home. Users on this cannot access your internal home network (eg. files, media, printer sharing). The Unfiltered WiFi network is a secure but unfiltered WiFi network. We recommend it for media streaming and parental use only. Google restrictions is not available. We suggest devices shared with kids are never connected to this network. By default Family Zone’s filtered networks impose safe search restrictions on Google & Bing. And by default all other search engines are blocked for users under 18. You can change this setting if you wish. By default Family Zone’s filtered networks impose strict adult content restrictions on YouTube. This blocks all adult rated or unrated content. Another Family Zone innovation. All Family Zone Boxes work together in policy harmony. So your child’s internet access at your home will be exactly the same at any other home or business using the Family Zone. As new devices and registered users connect to your Family Zone WiFi you will be notified by email. 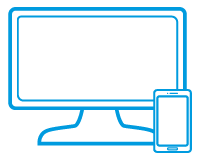 You can assign new devices to family members or guests or quickly block access. Through Family Zone’s innovative roaming feature guests on your network get the access policies set by their respective parents. But what if those parents are much more relaxed about internet access than you? That’s where the Safety Net comes in. This applies in addition to guest settings, meaning anything you feel strongly should not be accessed on your network, will be blocked. 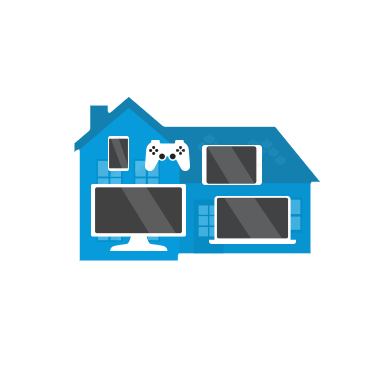 Family Zone’s home networking features are all controlled in the cloud through the Family Zone portal. No need to install software on devices, run firmware updates or the like. 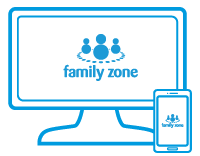 From your PC, mobile or tablet you can access the Family Zone and be in complete control. Install the Family Zone App on your child’s iOS and Android smart devices to extend the Family Zone outside of home. The Family Zone App includes a simple interface for your kids to interact with the Family Zone plus it embeds technology to allow you to remotely manage the device and impose internet filters. Supports iOS versions (iOS 8 or later) and Android versions (4.0.3 and up). Family Zone’s App includes technology to route mobile data through Family Zone’s filters via a VPN. Our full suite of controls are available including web filters and social network controls. Family Zone’s App imposes Google and Bing safe search restrictions. If you wish you can use Family Zone to control device features on phones or tablets, such as whether your kids can use the camera, install Apps or make in-app purchases. If you wish we will notify you every time your kids install an App. And, in a Family Zone innovation, if your kids install an App considered unsafe by your Chosen Cyber Expert we’ll notify you along with their advice and instructions. Our App provides a simple interface for your kids to interact with the Family Zone on their mobile devices. They can also “borrow” a communally shared device (provided you’ve assigned them a PIN). 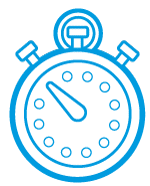 Your kids can also send you messages requesting Quick-Time once-off access changes. And for a bit of fun, you can set up personalised avatars for your family and backgrounds. Family Zone technology is built to identify (as much as we can) attempts by your kids to violate mobile device operating systems or Family Zone controls. If they Jailbreak the device or remove our App you’ll be notified, and their internet access set to "Sleep". When registering your family, simply add their date of birth and Family Zone will assign an age-based Cyber Safety Profile. 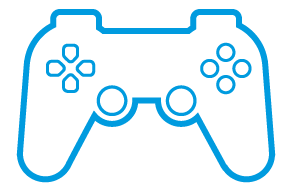 This includes filter settings, social network controls and a suggested routine of Play, Study, School & Sleep times. One of the innovations of the Family Zone is Cyber Expert support. Cyber Experts are independent, industry leading professionals in guiding online safety for children. They take the complexity, time and worry out of parental control. Subscribe to a Cyber Expert within the Family Zone to get their recommended settings and ongoing setting updates. In the Family Zone each child has a calendar where you can configure their daily internet access schedule. This allows you to create different access routines (eg Play, School, Study & Sleep times) for different types of days (eg Weekends, Holidays & School days). For example, you may choose to block social media apps during School time, or block all internet access during Sleep time. By default Family Zone will not track and will only lightly filter the internet access of users over 18. You can modify these settings at any time. 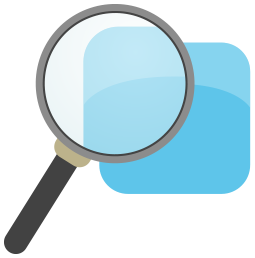 Family Zone’s filtering engine scours the internet identifying new threats and categorising websites. Each site is allocated one or more of 80 categories and our Cyber Experts then package these up into age-appropriate profiles. Family Zone allows parents to control access through daily routines to a large number of social networks such as Facebook, Instagram, Twitter, Tumblr, Kik Messenger, Pokemon Go and more. We’re constantly adding new platforms. Want to make an exception for a particular website for your kids? Block it, allow it or do so temporarily? Family Zone makes this easy. Add to their profile, or accept your child’s “Access Request” message. By default Family Zone’s filtered networks impose safe search restrictions on Google & Bing. And by default all other search engines are blocked for users under 18. Family Zone is constantly working on our filtering and working with our partners to identify risky sites, protocols and indicators or avoidance. VPNs, Proxy Servers, Anonymizers, Torrents, Translation Sites, MAC Spoofing and more. We see them and we work tirelessly to block them. The so-called "dark web" is an encrypted network that exists between Tor servers and their clients. We can identify tor download attempts and work tirelessly to block them. Family Zone’s filtering technology supports a large and growing set of languages. Will Family Zone slow down the internet? No. Family Zone uses an innovative ‘fast filtering technology’ on the Home Networking service. The effect of the Family Zone filters should be imperceptible to most users. Family Zone also by default does not block or track adult users. And our Box includes an Unfiltered WiFi network so adults, media devices or whatever else you choose can be easily set to bypass the Family Zone entirely. Will it block adult internet use or Netflix? Only if you want it to. Adults are assigned an Adult Profile by default. This profile has relaxed policy settings. Family Zone also offers an Unfiltered WiFi network which can be used to bypass the Family Zone entirely. Can I control my kids access to social media sites like Facebook and Snapchat? Yes. Family Zone enables you to choose and block the sites and apps you don’t want your kids to access. It works with most of the popular social media sites, including Instagram, KIK, Snapchat, Twitter and Facebook. You can selectively choose access levels, and apply different settings for younger or older kids. Is it complex or hard to set-up? No. You don’t need to be a technology genius to get up and running. Generally it’s as easy as plugging the Family Zone Box into your home modem router. Then, you just need to get your home computers and devices onto the Family Zone WiFi network - the same as you would joining any WiFi network. If you are absolutely tech-averse, you can always get our partners at the Computer Troubleshooters to set up everything in your home for a low once-off fee. Once you’re connected, you can choose recommended settings created by a Cyber Expert - professionals who keep up to date with technology, apps and online risks, so that you don’t have to!. Can it control how much time my kids spend online? Yes. Each member of your family has a routine. This is the times of the day which are classified as sleep, school, study and play time. Internet access settings are different for each of these routine times. You can quickly change these routines to the nearest 15 minutes allowing you to tailor internet access to your family’s needs. Will it work with technology at school? Yes. Family Zone’s technology has been designed to work in harmony with school technologies. In fact, more and more schools are recommending Family Zone to parents to manage child’ safety online. Family Zone works in two ways. Firstly, at home, there’s the Family Zone box that is connected to your WiFi modem. This effectively filters internet content and ensures that all devices on the network are safe and protected online. Secondly, for when kids are out-and-about on their smart devices, there’s a mobile App which is consistent with the settings they have at home. You control it all by the Family Zone portal - which is simply a website where you manage all of your devices, settings and family members. Can kids bypass or uninstall the Family Zone? If using the Family Zone Box (home networking) it’s unlikely they can unless they access your old WiFi network. So when implementing the Family Zone you should remove your child’s access to other home WiFi networks. If out-and-about on a smart device and being protected by the Family Zone App, if a child deletes the App they’ll be disconnected from the internet and you’ll be quickly alerted. There are more sophisticated ways kids may try to hack or violate the App or the device’s operating system. Family Zone can typically detect these and will notify you.